View More In Oldies & Retro. 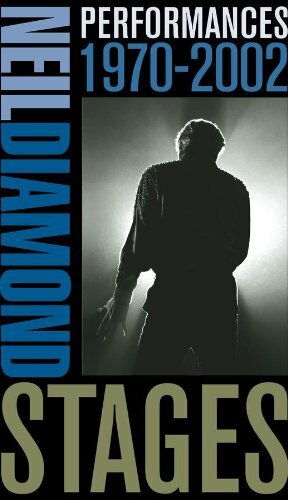 The definitive live Neil Diamond document! The first five discs of this box present 83 Diamond performances, 82 of which have never been issued and 42 of which are songs he has never issued in live versions. Sources include a full 2002 concert in Las Vegas on the first two discs, various shows from 1970 to 2001 on discs three and four and an entire disc devoted to Christmas favorites drawn from 1979 to 1993 performances. And then there's the DVD-nearly two hours of highlights from a 2002 performance in Dublin and a backstage documentary of life in Diamondville. Neil himself pens the 52-page four-color booklet. Boasting favorites like America; Cracklin' Rosie; Love on the Rocks , and Cherry, Cherry , this box gets inside an artist's skin like few others.